It’s that time of year when the sniffles get us down. Scratchy throats, tickling coughs and the ubiquitous runny nose. Being sick is never fun. 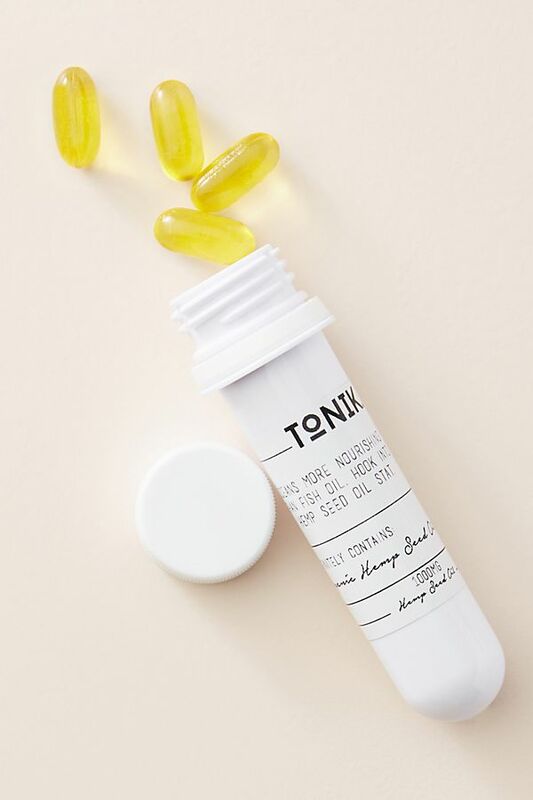 And while it’s true that sometimes you just have to let viruses run their course, there are proven natural cold remedies that can help you feel better and alleviate some of those annoying cold and flu symptoms. For 12 years I’ve successfully used homeopathy in conjunction with other home remedies. There’s still no instant miracle cure but getting lots of rest and using these remedies at the first sign of a cold will help you feel better fast. I know, you’ve heard it before but this might be the most important tip of all! 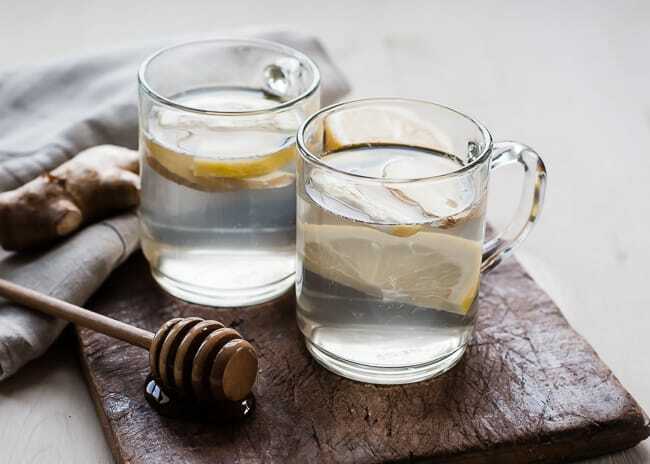 My favorite feel better beverage is a soothing tea made with a few slices of ginger and lemon and sweetened with honey. You can also try broth, herbal teas, ginger ale and good old chicken soup. Stay away from caffeinated beverages like cola and coffee, which can have the opposite effect and lead to dehydration. Having 8-10 glasses a day will help immensely. 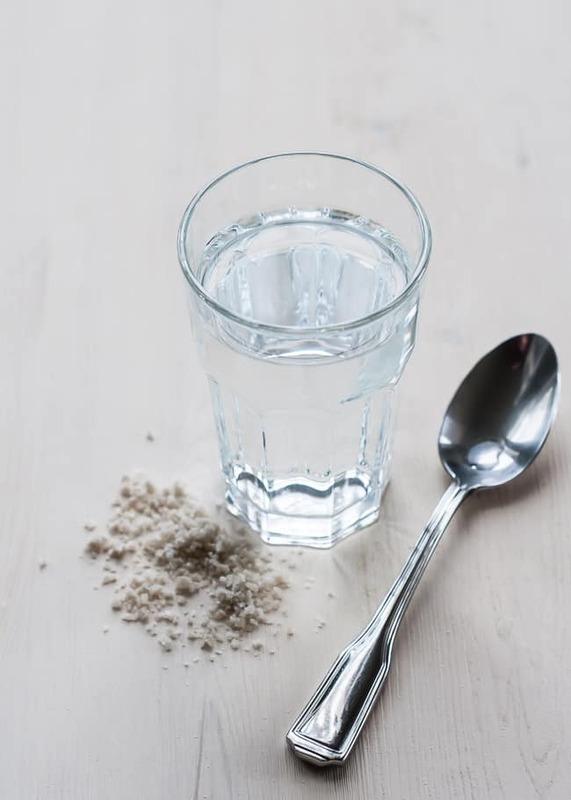 If you have a stomach bug that’s causing dehydration you can make an electrolyte solution by combining 2 tablespoons of sugar (or honey) with 1/2 teaspoon of salt and 1 quart (4 cups) water. 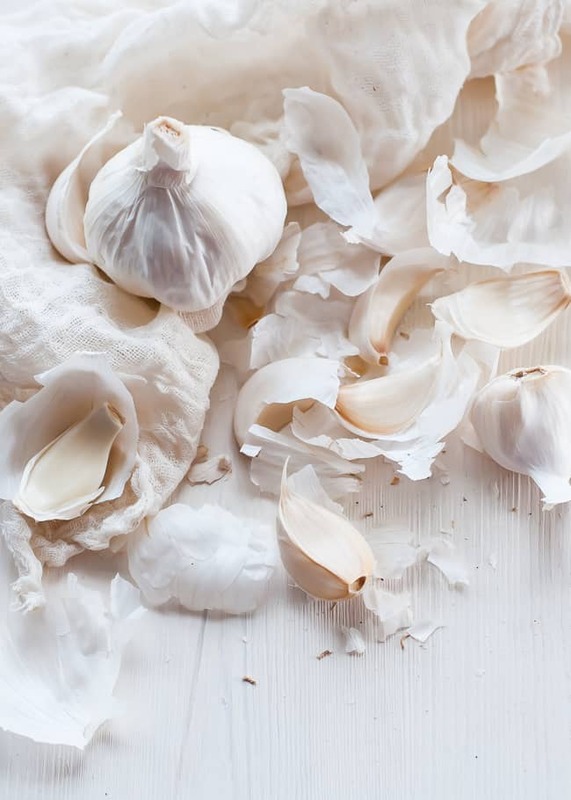 Garlic has antibacterial properties that chase colds and vampires away. It’s best consumed raw – cooking can destroy its beneficial properties. If you’re feeling brave, mash up a small head of garlic and mix with raw honey to take by the spoonful. 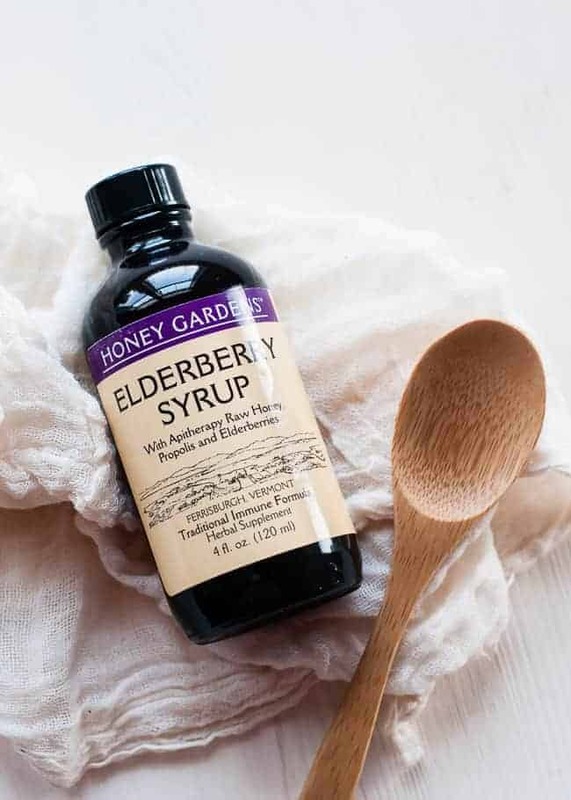 Elderberry syrup is a great thing to keep in your fridge during cold and flu season. If taken as soon as flu symptoms appear, it can shorten the duration of the flu by 3-4 days. We like this syrup made with raw honey and propolis. Just make sure you’re getting elderberry extract – jams, jellies and juices won’t have the same effect. 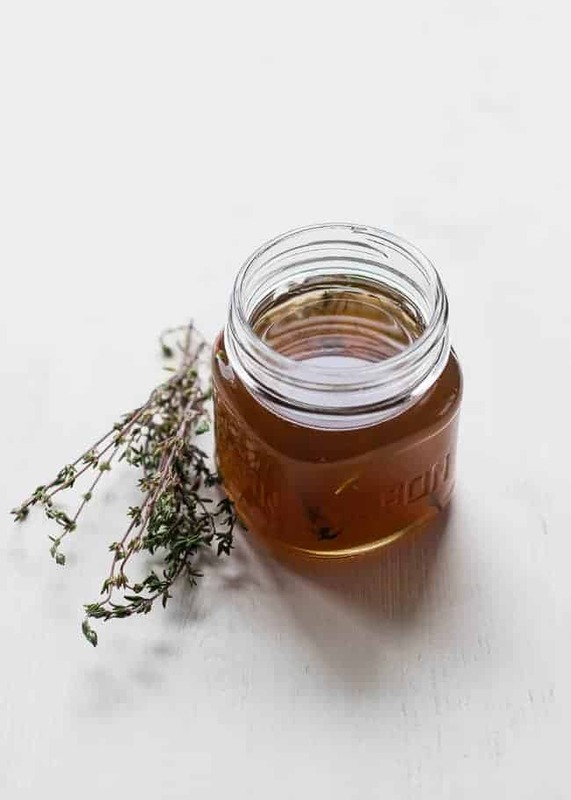 A few years ago I found a recipe for a homemade honey-thyme cough syrup, and I was immediately in love. Honey is very soothing for a sore, scratchy throat. 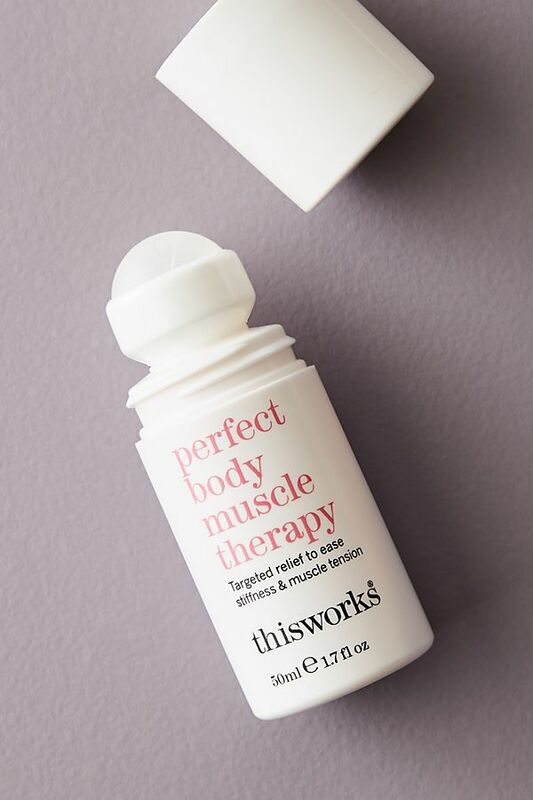 It can help calm a tickling cough, too. Thyme containes thymol, which has healing properties and is a powerful antimicrobial that is particularly good for respiratory and bronchial infections. The recipe is very simple. 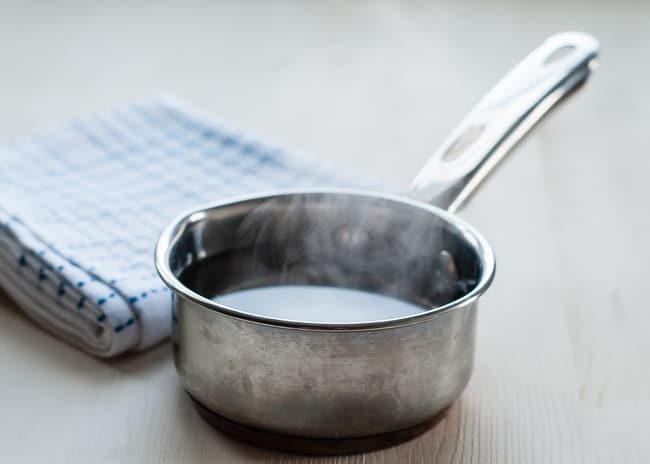 Boil 2 cups of water in a pan. Remove from heat and add 3 Tablespoons of fresh thyme. Let steep for at least 10 minutes, or until cool. Stir in 1 cup of honey. Continue stirring until dissolved. Strain out the thyme, if desired, and transfer to a glass jar. Keep refrigerated for up to 2-3 weeks. Scratchy, itchy sore throats can benefit from a salt water gargle. The salt helps loosen things up. Use warm, not hot water and add 1/2 teaspoon of salt per 8 ounces warm water. The health benefits of apple cider vinegar are too long to list! It has been used for centuries for all sorts of conditions and ills. Gargling with equal parts apple cider vinegar and warm water is great for a sore throat, and the acidity will kill germs. For sinus drainage, use 1 teaspoon of ACV in one cup of warm water. 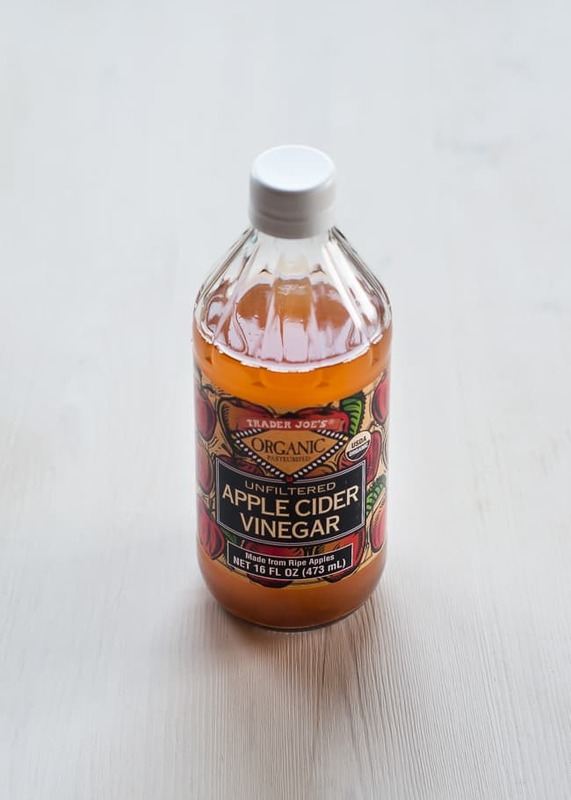 But use caution – too much apple cider vinegar can cause irritation. Make sure to dilute it and you’ll still be able to enjoy the benefits. The most annoying thing about a cold is the mucus, am I right? It’s so aggravating not to be able to breathe through your nose. To help with congestion, use a humidifier. The damp air really helps at night. Just take care to clean it properly to prevent mold. You can also make a soothing homemade vapor rub out of coconut oil, shea butter and essential oils. I like this recipe. Making a homemade nasal spray is so easy (and has less chemicals!). Mix 1/4 teaspoon salt, 1/4 teaspoon baking soda and 8 ounces of hot water. Use a neti pot or bulb syringe to flush out the nasal cavity. Hold one nostril closed and gently squirt or pour the water through the other nostril while tipping the head forward a bit. This feels weird at first, but the warm, salty water will help draw out the stuffiness. It seems mom was right – chicken soup really is the best medicine for a cold. The soup has anti-inflammatory benefits and helps clear congestion. Not to mention it’s soothing and comforting. And don’t worry, it doesn’t matter whether it’s homemade or store-bought – both work just as well. What about you? Do you rely on natural remedies when you have a cold? Thanks for the sharing this useful article. I used all these natural remedies and it was very helpful to me. 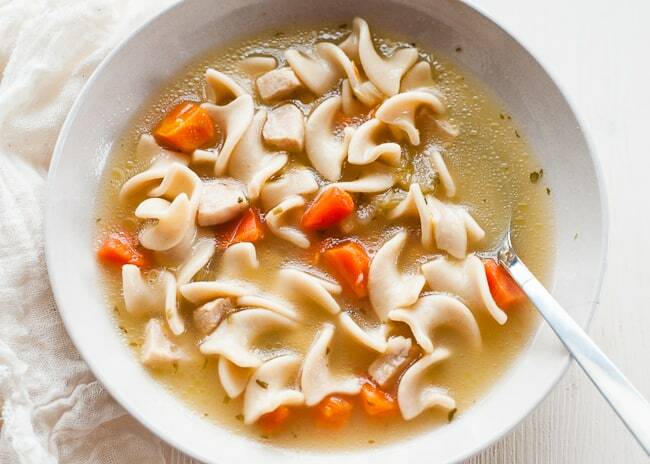 Chicken soup is one of the most effective solutions for colds. Keep sharing this kind of useful information. Hi, the honey-thyme cough syrup sounds great! How much honey should I use when I make this recipe? Thanks! Thanks for the sharing this useful article. 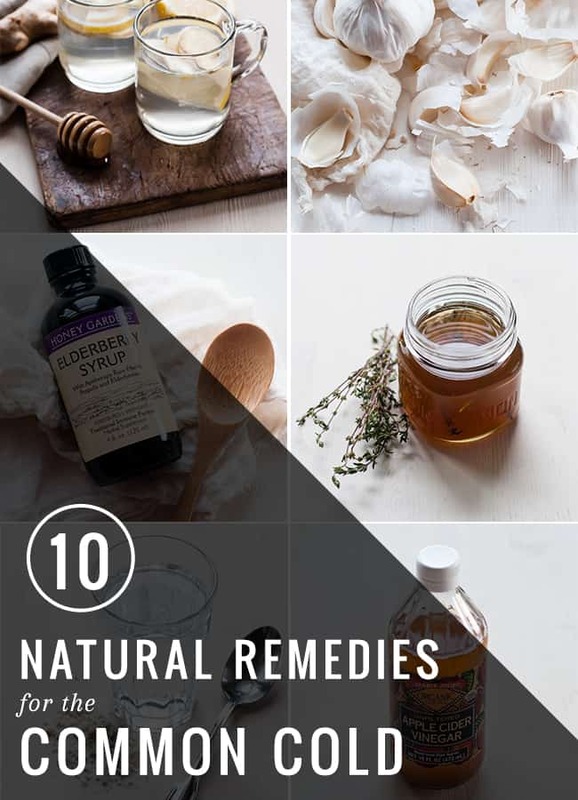 I used all these natural remedies and it was very help to me. Keep sharing this kind of useful information. Just remember you need chicken bones in the soup thats the medicine. I loved reading this list! My family and I love using homeopathic remedies as an augment to our usual cold/flu regimens. I’ve tried most of these, but I haven’t heard about elderberry syrup… I’ll definitely have to give it a try! Hi, I wanted to let you know about a new product, the natural version of Vicks: Rudolf! (http://www.noble-house.tk/en/products/remedies/rudolf) or for earache and teethache (http://www.noble-house.tk/en/products/remedies/oral-auris). Vicks on the soles of the feet , then cover with socks, great for stopping night coughs so everyone gets some sleep ? This is so interesting. 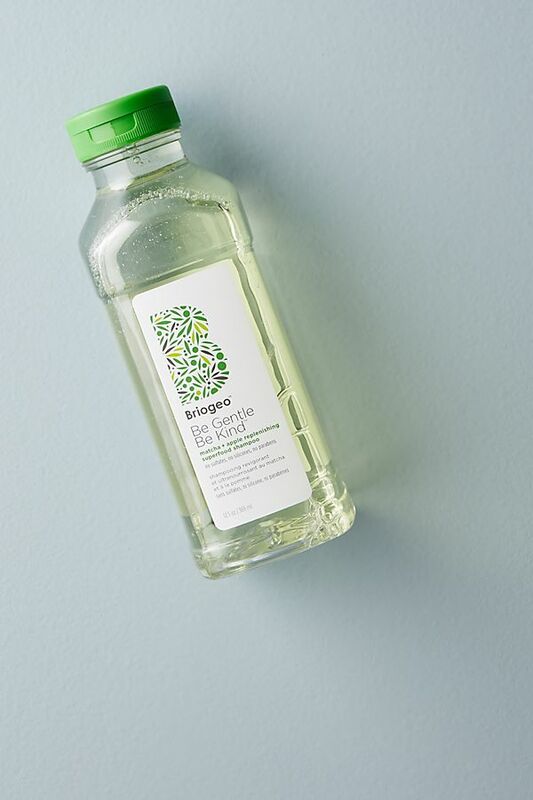 I’ve always known about apple cider vinegar and avocados, but the rest if the list is amazing. Sugar… Who would’ve ever thought that. All are great for get rid of cold. I love honey because it’s the best one. I just found your site and really like what i’m seeing. Quick question regarding the ACV and sinuses – is that for consumption or a nasal rinse? I had a massive cold, after standing in the chilly winds of Sweden one night, when our school buss had problems. 7 or more days after that I was very sick, really sick. It did not get better until, with my body shaking, I managed to make a chicken soup. I began to feel better, so I made more chicken soup and after a week I was on my feet again. Thank god for that remedy and to my friend who told me what to do!